“Both West Belt Plaza and Waldwick Shopping Plaza are well-located top-performers, with a diverse tenant roster and a nice balance of consumer products and lifestyle services,” says Gebroe-Hammer's executive vice president, Greg Pine. 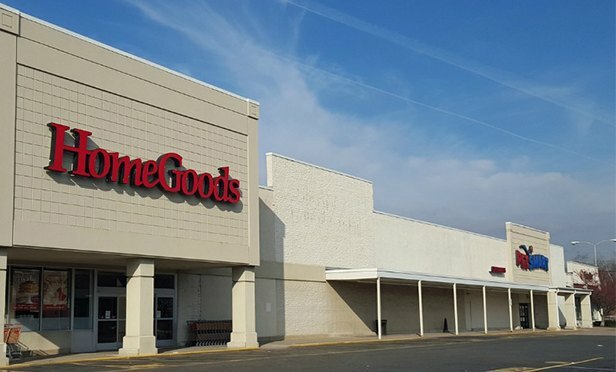 WAYNE AND WALDWICK, NJ—Two retail centers in Bergen and Passaic Counties changed hands for a combined $34 million in a transaction arranged by Gebroe-Hammer Associates. Gebroe-Hammer’s executive vice president, Greg Pine exclusively represented the seller and procured the buyers of West Belt Plaza in Wayne (UB Waldwick I) and Waldwick Shopping Plaza in Waldwick (The Klein Group). Morristown-based Segal & Segal was identified as the seller of the Waldwick Shopping Plaza by Real Capital Analytics, a proprietary research database. West Belt Plaza, which is strategically situated along Route 23, is adjacent to two retail power centers – Willowbrook Mall and the newly redeveloped/re-tenanted Wayne Towne Center. The 90,000-square-foot West Belt Plaza is comprised of a total of 16 storefronts anchored by Home Goods and PetSmart. Additional tenants include a nail salon, prom/special occasion dress shop, Starbucks, Fidelity Investments, Jersey Mike’s Subs, Scottrade and Wayne Jewelry Exchange. The regional shopping center is less than a mile from the high-traffic intersection where I-80 and State Routes 46 and 23 converge. To the north, in the Bergen County borough of Waldwick, the 26,500-square-foot community retail center at 26 Franklin Turnpike is located at the high-traffic corner of Franklin Turnpike and Wyckoff Avenue. Waldwick Shopping Plaza features 12 storefronts that house a mix of local businesses as well as national retailers. Current tenants include Massage Envy, Little Gym, Spier’s Liquors, a nail salon and dry cleaner, Fruit Flowers, Super Cuts, Verizon Wireless, Reinhold’s Bake Shop and Limoncello, one of the area’s finest restaurants.